In Arizona, there is hardly a more precious resource than water. That’s why some water experts point with alarm to deep cuts in funding and staffing at the state agency tasked with overseeing it, especially after years of drought and with a shortage looming on the Colorado River. Where 244 people once worked for the Arizona Department of Water Resources as of fiscal 2008, before the Great Recession took its toll on the state budget, there were 123 as of March 31 handling water claims and helping preserve water supplies, among other tasks, according to state records. Meanwhile, money allotted to this mission out of the state’s general fund is down by nearly half: from $24.1 million in fiscal 2008 to $13.3 million in 2015. That amount dipped to $5.7 million in fiscal 2012 before increasing. 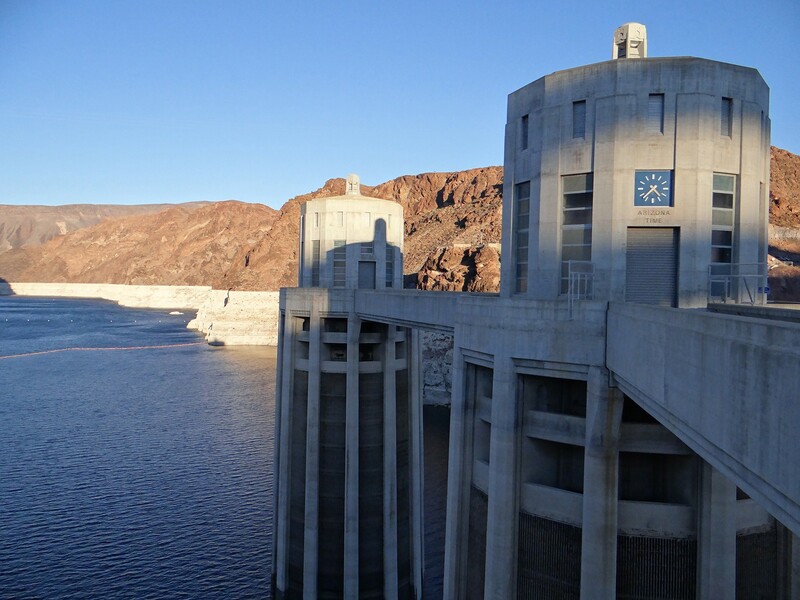 Kathleen Ferris, a former director of the agency and who currently serves as legal counsel and policy adviser for the Arizona Municipal Water Users Association, said ADWR needs the funding to ensure that it carries out its duties. The department was created in the 1980s to ensure a sustainable water supply. A key part of that mission: carrying out the goals outlined in the landmark Groundwater Management Act of 1980, which created active management areas deemed too reliant on groundwater and aimed to achieve safe yield, or drawing no more water from wells than is naturally recharged. ADWR is also responsible for negotiations related to the Colorado River as well as assisting with water planning throughout the state, especially in rural communities that lack the technical resources that larger cities have. 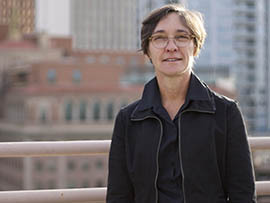 Sarah Porter, director of the Kyl Center for Water Policy at Arizona State University’s Morrison Institute for Public Policy, said that ADWR did great work in the 1980s and 1990s under great leadership, but she said that success may have allowed current legislative leaders, to some extent, to take the department’s role for granted. Tom Buschatzke, who took over this year as director of the Arizona Department of Water Resources, said there have been significant reductions in what his agency can do and that staff members must prioritize. But Ferris said that while the department still has many good people, those employees will be overexerted in trying to achieve goals meant for a staff double its current size. “Talented staff who remain are needing to take on too many tasks, and some work just is not getting done,” she said. Adopted after decades of legislative battles, the Groundwater Management Act aimed to avoid a looming water crisis. At the time, groundwater in Maricopa, Pinal and Pima counties was being depleted at rates far greater than nature could replenish it. With Arizona poised to grow, Porter said, the Groundwater Management Act reflected an acknowledgement from state leaders that water ensures long-term growth. “And if we wanted economic sustainability, we desert dwellers need to plan for where our water is coming from,” she said. Out of that came five active management areas covering most of the Sun Corridor stretching from Phoenix to Tucson and including the Prescott area and part of Santa Cruz County. In the Phoenix, Prescott, and Tucson AMAs, the primary goal is attaining safe yield for groundwater by 2025. The goal for the Santa Cruz AMA: maintaining safe yield and preventing area water tables from declining long-term. For the predominantly agricultural Pinal AMA: allowing development of water uses beyond irrigation, preserving water supplies for non-agricultural uses and extending the life of the agricultural economy. Ferris said she remembers when the department had 250 employees and an office in each active management area developing plans for meeting those goals. Buschatzke said that in 2007 there were 136 full-time employees in the Water Management Division, which included staff at the AMAs. Now there is one AMA director for the entire state and 10 full-time employees. A report by Karen Smith, fellow at the Grand Canyon Institute and former deputy director at ADWR, found that the state will fail to meet its goal of having sustainable water resources by 2025 in the active management areas without steps to improve groundwater management. Smith said that ADWR hasn’t been able to complete updated management plans for active management areas that the department’s website says were supposed to be adopted before 2010 and in effect from 2014 to 2020. The only active management area with an updated plan in place is Prescott. Buschatzke, the current ADWR director, said the plans would be on schedule if the department had the number of employees it did before. However, he said that the act simply outlines a goal and doesn’t say what will happen if that goal isn’t reached. Buschatzke said those solutions include additional conservation efforts like use of reclaimed water and augmentation of water supplies. Smith said ADWR has made great progress toward preserving groundwater, but she said it’s still not enough. She said it requires leadership and the ability to efficiently run operations for each AMA. “The longer we delay the harder it’s going to be to do what needs to be done by 2025,” she said. One of the thorniest questions about water in Arizona is who has rights to what, and those battles are most intense in rural areas. With thousands of conflicting claims being adjudicated in the Gila River and Little Colorado River watersheds, ADWR is tasked with providing technical and administrative support to courts. Dave Roberts, who as the Salt River Project’s manager of water rights and contracts has handled adjudications for years, said ADWR’s ability to help in this area has been diminished. “Right now the statutes say that the department has to prepare a watershed-wide report of all of the claims and potential water rights that exist within a watershed, so it’s a huge geographical area,” he said. For example, Roberts said there are probably 12,000 claims covering a large part of southern Arizona. “And that has had its challenges over time in terms of hiring the right staff who can do the work, but also retaining them, making sure you have the funding for all that,” he said. Roberts said that funding cuts to ADWR won’t necessarily affect metropolitan areas like Phoenix and Tucson, but they continue to plague rural areas. “It’s just going to continue to create uncertainty about who has what water rights, and I think raise some questions about investment in rural Arizona because there’s uncertainty about your water supply,” he said. Buschatzke said his department has been relatively diligent in its efforts to provide required technical support despite having a smaller staff. “The adjudication is not making a lot of progress,” he said. “But a lot of that is not due to ADWR’s ability to provide technical service. It’s the fact that you have thousands of claims … there’s a lot of bouncing back and forth on issues as lawyers do their lawyer thing. Porter said it’s important to explore what types of solutions are possible, especially in rural areas, to make decisions about how Arizona is going to get through the next 50 years. “We won’t get to those things unless there’s been serious focused planning, and that’s something that DWR needs to have the capacity to do,” Porter said. From Carl Hayden to Ernest McFarland to Barry Goldwater, Arizonans in Congress crusaded for decades to secure the state’s share of the Colorado River as well as obtain the funding necessary to deliver that water 336 miles through the Central Arizona Project aqueduct. To get the CAP, Arizona had to agree that its Colorado River rights were junior to California’s. Essentially, in a shortage California’s gets its full share of the river, even if that means Arizona losing some of its share. Lake Mead’s level is dropping toward the point that the U.S. Interior Department would declare a shortage, triggering an initial round of cuts to Arizona’s CAP allotment that primarily would reduce deliveries to central Arizona agriculture. In January, a CAP official told state lawmakers the chances of that happening are 61 percent by 2017. Years of drought in the Southwest and increasing populations in the states relying on the river have only made ADWR’s job of representing Arizona’s interests more complex. SRP’s Roberts said that makes it necessary for ADWR to have adequate professional and legal staff. “To protect Arizona’s water rights, and also begin more effective planning for the future, we think the department needs more staff in that area to work with other states and with Mexico on trying to figure out ways to augment the water supply,” he said. Porter said that the Colorado River shortages aren’t going away. “We need our water resources agency to be there representing the state of Arizona, speaking for the state of Arizona, and maybe in some instances fighting for the state of Arizona,” she said. Buschatzke, ADWR’s director, said performing that mission has become more difficult given the budgets of recent years. “We’ve had a lot of reduction of staff there as well, and that makes it difficult, especially given what’s going on with the river and impending shortage,” he said. Many members of ADWR’s staff were laid off as the budgets declined. But Buschatzke said that the number of employees doesn’t tell the whole story of what is happening at the agency in terms of staffing. He said the salaries he is able to offer make it hard to compete with other employers. 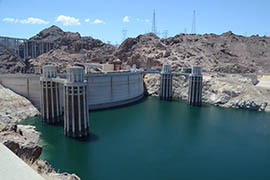 As an example, Buschatzke noted that the manager of Colorado River negotiations left to work for the Central Arizona Project a few years ago. Buschatzke said when he tried to fill that position, he was only able to offer about $50,000 to $55,000 a year. Even with ADWR’s budget increasing since its low point in fiscal 2012, including an 8.1 percent increase for the fiscal year beginning July 1, Buschatzke said staffing his agency is difficult because of an 18-month hiring freeze instituted by Gov. Doug Ducey. “There is some leeway to hire some people, but it’s pretty limited,” he said. Buschatzke said his department is making it through with good people who have embraced change. The budget is steadily increasing, and he said he thinks a lot staffers are happy to have multiple tasks. Daniel Scarpinato, a spokesman for Ducey, said that the governor was constitutionally required to submit a budget proposal 11 days into office and solve what he said was a crisis for the state. Tom O’Halleran, who as a Republican state lawmaker from 2001 to 2008 was recognized as a leading water expert and who later chaired the Verde River Basin Partnership, said the Legislature needs to make ADWR more of a priority. “When you cut an agency that important, knowing that even with the personnel is has it can’t keep up with its responsibilities, that’s just not right, and it’s not very good government,” he said. O’Halleran said some state lawmakers think government is bloated and can be cut anywhere without an impact. “What they need to do is identify where the cuts are going to not hurt the long-term viability of either a major resource or our economy, and keep us in a competitive position,” he said. One of the organizing goals when the Kyl Center came to be in November 2014 was stressing the importance of adequately funding ADWR. Porter said this emphasis will continue. “I think the Kyl Center is in a good position to help leadership and citizens see that because of where we are, and with the water scarcity in Arizona, having an empowered water resources department is critically important,” she said. The level of Lake Mead behind Hoover Dam, as shown in this July 2014 photo, has fallen to record low levels. A continued decline would prompt the U.S. Department of the Interior to declare a shortage that would trigger a first stage of cuts in Arizona’s deliveries of Colorado River water through the Central Arizona Project. 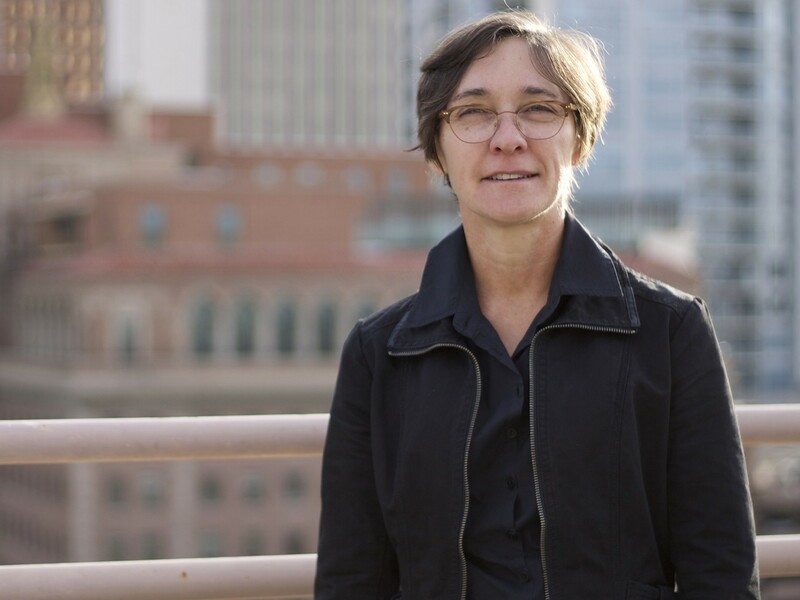 Sarah Porter, director of the Kyl Center for Water Policy at Arizona State University’s Morrison Institute for Public Policy, says funding and staffing cuts have hurt the effectiveness of the Arizona Department of Water Resources. A white ring more than 100-feet high in December illustrates how far Lake Mead’s level has fallen after years of drought. 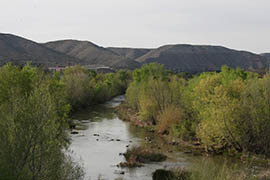 The Verde River, shown flowing near Clarkdale, is the subject to conflicting claims over water rights. The Arizona Department of Water Resources is tasked with providing research to courts adjudicating the cases.